For eleven days now, forest fires have raged around us. Worsened by the drought on the West Coast, a seemingly unquenchable inferno is eating up the trees, the brush, and anything that gets in its way. It’s like the fire is a living thing, one that wants to get free and consume everything. I’m rarely forthcoming about even our general location, for the obvious privacy reasons, but I want to share what it’s like for a real family – mine – to live on the brink of disaster for an extended period of time. For the past week and a half, we’ve wondered on a daily basis if THIS will be the day that our home burns to the ground, consumed by wildfire. We’ve wondered constantly if we will have to evacuate in the midst of cooking dinner, if someone will pound on the door in the middle of the night, or if the fire will jump the creek at the bottom of the next canyon over. Natural barriers have allowed us a modicum safety, but we’ve been very watchful. This isn’t the usual article about prepping. 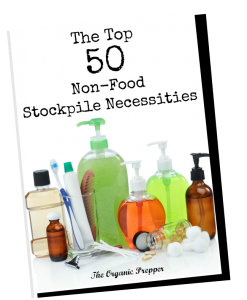 It doesn’t contain a checklist with all of the things you need to pack. There are plenty of those out there. This is a diary of what it’s like to live in an area that has been declared a disaster zone, and to be able to see the flames from your porch. It’s about the state of being ready for action, but not being able to take it…and instead…just waiting. It has always been my plan to bug in, but sometimes Mother Nature says otherwise. In situations like this, the most important preparedness skill you can have is adaptability. You have to roll with what comes your way immediately, and resist the urge to grimly stick with Plan A.
.) My daughter had gone away for the weekend with a friend’s family, and I worried vaguely about what would happen if I was forced to leave home before she returned. I sent her a message and gave her instructions that if for any reason she was not able to return to our home in the mountains, that she was to be dropped off at a family friend’s place that was further down in the foothills, and less likely to be affected. I was even more relieved than I had expected to be when she arrived home. We sat down to watch a movie and pushed the fire to the back of our minds for the evening. Over the next few days, the fire spread dramatically, but to our guilty relief it was spreading in the opposite direction. It occupied our thoughts, though, because the huge ominous cloud of smoke was visible, literally, from everywhere we went. The drive to school and back each day was filled with shock about the shape of the cloud, the texture, the color, the massive size. Imagine living next door to a vicious dog, one trained to rip intruders apart, who snarled a warning to everyone who passed. You’d give the fence wide berth, keep a watchful eye on the beast, and hope and pray it never escaped from that chainlink fence and came barreling into your yard, bearing down on you with grim hunger. That was the fire – a ravenous beast, watching and lunging but kept safely behind a barrier…for now. I registered my phone with the county’s reverse 911 service so that I could immediately receive important alerts, instead of waiting for a knock at the door by officials. Rosie took this photo of the pyrocumulus cloud from the next town over. The eerie cloud lingered over us for another day, hovering like the physical manifestation of a bad omen. I went to bed on Thursday night feeling as though we were out of danger. I spoke with friends and family from far away and assured them that things were better. Sure, it was a bit smokey, but the area to the Northeast was the danger zone. I woke up in the night coughing. I got up and closed the windows. I checked the fire website to be certain there was no imminent danger and went back to sleep, sealing the smoke outside our house. A few hours later, I awoke to the dog pacing anxiously. The smell of burning wood lingered heavy in the air, despite the fact that the windows were tightly closed. It was around 5:30 am, and I got up to let the dog go outside and do her business. The smoke was so thick it hit me like a physical blow. I quickly shut the door and booted up my laptop. Thank goodness for the internet, I thought to myself as I logged on to Facebook and the local page with fire updates. Simultaneously I pulled up the state’s fire website. The wind, it seemed, had changed. And with it, our ephemeral previous relief that we were safe. I wondered, will this be the day that the SHTF for us? According to the fire website, we were safe for the time being. The smoke burned our eyes and made us cough – even the dog was not immune. The thick oppressive fog from any scary movie you’ve ever seen had nothing on the smoke hovering dense in our yard. I pushed the recirculation button in the car to keep us free of at least some of the smoky air. After dropping the kids off at school, I knew that the time had come to pack up for real, If conditions remained the same, this might be the last day in our little home. I hurried from the vehicle back into the house, unconsciously holding my breath, consciously covering my face with my sleeve. I got inside and let it out with a whoosh. And it was time to pack. When you have a warning and an ample amount of time to get ready, evacuating isn’t nearly as panic-inducing. Even though the professionals hadn’t yet rung the warning bell, the fire was just down at the bottom of the next canyon over. A slight change in conditions could mean the fire was in our front yard. Some people questioned my decision to wait it out at this point. Our firemen had fought valiantly, protecting homes in the area. 80,000 acres gone and not a life lost. I trusted that we’d have some warning. The process thus far was a voluntary evacuation notice, followed by a mandatory notice. I earmarked some spots on the map and decided that if the voluntary evacuations reached those points, we would leave ahead of our own evacuation notice. This, I hoped, would allow us to beat the road congestion. I mapped out 3 routes to our secondary location, which was a friend’s home about 10 miles away. Then, I looked around my home and thought, what would I be devastated to lose? We had long since packed our important documents and a few days worth of clothing and supplies. All of those vital things you must have with you when bugging out were sitting at the door. But when you think about losing every single thing you can’t fit into your vehicle…that’s simply overwhelming. I keep my vehicle very well-supplied year round, courtesy of a few big Rubbermaid tubs. I decided in this circumstance, we’d benefit more from bringing other things, so I removed some of the less vital supplies from my SUV to free up space. I grabbed some empty tubs I had recently purchased for stowing pantry supplies. First, I packed up those irreplaceable things that every mother loves. Our photo albums, the baby books, and a few special framed pictures that just melt my heart. The framed pictures of my mom and dad, taken right after their wedding.A journal that had belonged to my father, in which we “finished” his story, sweet hours spent together, shortly before he died. My grandmother’s wedding ring, in two pieces because I’d never gotten around to having it fixed. A packet of flower seeds given to me long ago by someone I had loved, because he knew I’d rather have the seeds than the cut flowers. My first thesaurus and a leather bound book of Shakespeare. 19 years of birthday cards from my girls, starting out with fingerprints in pink and purple ink, followed by wobbly printing, maturing to creative artistic endeavors. Love letters tied with ribbons. A strangely charming bowl shaped like a dinosaur, made by my daughter. Rocks and sand and geological oddities we’d picked up on various vacations in various places. Of course, I packed items of monetary value too – my wedding ring, some gold jewelry, some small antiques, and some silver coins. But the truly priceless items were in that first box of memories so strong that just touching the items was like reliving my life by osmosis. We made a quick pick-up, dropped off my daughter’s carpool buddy, and got home. The dog is always amiable and loves getting home just as much as she loves leaving it in the first place. The cats were less than pleased, and we released the disgruntled felines into the house. They shook themselves, glared at us, and began to groom their ruffled coats after their vehicular ordeal. I explained to Rosie that she needed to gather up her most precious belongings. Like me, she grabbed photos, but she also carefully packed some things that had belonged to her dad, who had suddenly passed away a few years ago. The things that were dear to her was his letterman’s jacket from high school, studded with bars and patches boasting of his athletic ability. She brought a hoodie that had been her dad’s, gigantic on her with the sleeves going far past the tips of her fingers. She packed a jewelry box full of precious bits and pieces – gifts that had earned their way into the box by virtue of either the giver or the monetary value or just because they caught her eye and made her happy. She has moved many times, and notes and photos from distant friends also made the cut. Once these vital items had been ensconced in the vehicle, we packed some more clothing – a full two weeks’ worth of everything from socks to undies to dress clothes to casual attire. Those suitcases went into the vehicle atop the boxes that contained our memories. Time takes on a different feel when you are waiting for disaster to strike. It crawls, pausing to explore horrific scenarios. It wanders and climbs, picking its way through imagined pitfalls. We found ourselves either wanting news that a miraculous rain had fallen from the sky, extinguishing the giant inferno, or the call to evacuate with no further ado. While we’d prefer the former, the latter would suffice because waiting…is…excruciating. I repeatedly found myself refreshing the fire information websites, even though I had signed up for the local reverse 911 system in order to be alerted immediately should the need arise to evacuate. Finally, I began watching a movie on Netflix and promptly fell asleep, only to dream strange, horrible nightmares that, oddly, had nothing to do with a stealthily approaching fire creeping up the side of the canyon while we slept. We made it through the night unscathed, and the next. Two more alerts arrived that our area could potentially be faced with evacuation, as the wind picked up and embers flew. Storms circled overhead, but instead of blessing us with rain, we only got lightning – terrifying under these conditions, because it could set off a whole new fire. Sixteen cloud-to-ground strikes, according to the radars, the last thing we needed. The alerts that the fire was licking at our side of the canyon now failed to trigger even the slightest surge of adrenaline. It was like every bit of it had been drained from my body. It felt like I had exhausted any potential for worry. I thought, “Whatever. I can’t get any more ready than I already am,” and went to sleep with my phone next to my ear, in case the call came that night. We were hesitant to go too far from home, in the event that the flames got past the firemen. We wanted to be home and ready to load up our family pets. We didn’t want to carry all of our important belongings around in the vehicle, because the looting had already begun. Disaster always brings out the dregs of society, who feed on fear and prey upon those who have lost the most. Vultures were pillaging from evacuated homes and breaking into loaded vehicles at homes that were pending evacuation. Our belongings remained with us indoors, and looters, aided and abetted by the wildfire, became another threat to watch for. Nine days after the fire began, the inferno still raged. Photos that looked like vacation pictures from hell popped up all over Facebook and local websites. Everyone tried to continue with life as normal, but when there is an 87,000 acre threat 3 miles from your door, you’re just going through the motions of your everyday routine. We kept everything packed and neatly stacked by the door. Stress was a low-level hum throughout my body. Have you ever spent the night in the room with a mosquito? The annoying buzz is constant – not loud, not even audible if there are enough other things going on, like music or the television. But the moment things become still and dark, and there’s no other stimuli, it’s the only thing you can hear and you begin to seriously consider whether that tiny little bug making that tiny little sound could actually drive you insane. That’s what it feels like to spend more than a week on the edge of a massive disaster zone – constant, quiet stress that you might at any moment be called into action in order to save your family, your pets, your neighbors. And then the fire jumped the canyon. I got up that morning, and to my delight, it was crisp, clear and didn’t smell as potently of disaster as it had on previous mornings. I dove into my work with renewed energy, until I heard helicopters and planes circling overhead. I looked outside and at one point saw 7 vehicles in the air from my front porch. It reminded me of the invasion scene from Red Dawn, but I knew the invader was fire, and that these pilots were flying overhead to defend us. A pillar of smoke – a new one – looked much closer to us, billowing up like one of those attention-getting balloons that advertise a sale on used cars or new sofas, dancing maniacally as the wind picked up. Fire trucks barreled down our road, sirens singing a warning. Still, we waited, as dozens of engines were dispatched to make a final stand between our charming little town and the fire which engulfed everything we could see beyond the next ridge. They won this battle, but the war continued. On day 11, someone asked me the very reasonable question of why we waited. Why, she wondered, didn’t we just evacuate? Wouldn’t it be less worrisome to watch from afar, in a place where our safety was cushioned by miles? First, when you’re away from home, you constantly wonder what’s going on AT home. While I am well aware there’s nothing we could do if the wildfire escaped its barriers and bore down on our home, until that point, I saw no reason to leave. I trusted that the firefighters would warn us as soon as we were at risk and that they’d err on the side of caution. The fire was now 93,000 acres, bigger than the city of Atlanta, and not one human life had been lost. Secondly, we have several pets. If we needed to evacuate, we had a place to go. Dear friends had invited us and all of our animals to come and stay with them. We didn’t want to impose like that unless we had no choice. Third – and this is something many people don’t think about – evacuation is expensive. Best case scenario, like us, you have friends or family with whom you can stay. But in many cases, people stay at shelters or hotels. Insurance may or may not reimburse you for your expenses, but either way, you have to put out the money first. 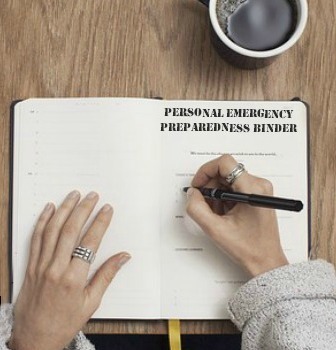 Costs like hotel bills, laundry expenses, and dining out can add up very quickly, and if you don’t have a healthy emergency fund, it can cause serious financial hardship. The previous night had brought billowing smoke, so strong I awoke from the smell of it through closed windows. I went out on the porch in my pajamas and I could see the soft orange of fire, glowing in the distance. The firefighters had evacuated people somewhat closer to our house and were spending the night doing a controlled “backburn”. They do this in order to clear out anything the fire could use as fuel. So around the perimeter of the fire, they light other fires, carefully controlled, to rid the area of brush and trees. This is how they contain a fire as huge and out of control as this one – they create an area around it with nothing to feed it, thus limiting its ability to spread. This is usually done at night, since nighttime air generally has more humidity and is cooler. The weather conditions have to be right, and there has to be enough distance between the wildfire and homes, for this to work. There is a high risk to this, because there is potential for the small deliberate fire to ally itself with the monster fire. We were told that this is usually a last stand, undertaken when other efforts have failed and there is little more to lose. After a restless sleep, we awoke to the incredible news that the fire was now 38% contained, a giant leap over the previous day’s report of 10%. The backburn had worked, and the containment line held strong. As long as 92,000 acres are on fire, we can’t consider ourselves safe, regardless of containment percentages and firelines. However, we seem to be out of imminent danger. Our bags will remain packed and waiting at the door. We’ll continue to be vigilant until the fire is completely extinguished, but today, we can breathe a small sigh of relief. This week on the edge of a disaster reinforced why we prepare: because one random act can have far-reaching consequences, and preparation is the key to a calm, effective, and potentially life-saving response. 7,691 men and women from all over the country have put their lives on the line to battle this fire – a fire that began with a single act of arson by a jilted lover. You can learn more by searching for “King Fire” or by going HERE. Calfire heroes defending a home and outbuildings.